Coaching athletes to excellence in running, duathlon, triathlon, paratriathlon, time trial and ultra cycling. Train smart, race faster! Individualized online/remote coaching packages for a variety of needs & budgets. Custom, pre-built plans and race specific training plans for the self-directed athlete. Professional Bike Fit & Bike Customization services Cycling skills & run technique clinics and camps. Rachel Sears Casanta, a former professional triathlete, coaches athletes in running, cycling, duathlon & triathlon to surpass their goals. Rachel combines a balance of art, science, her personal racing and 18+ years of coaching experience to provide a premium level of coaching and attention. Rachel has been competing since 1988, was a Div I collegiate runner, a world champion amateur duathlete and has competed for 12 years as a professional triathlete. She raced at 10 world championships including Ironman Hawaii in Kona. She helped the US Elite team bring home the gold at the 2010 ITU Long Course World Championships. USA Triathlon Level II certified, USAT Youth & Junior certified, USA Cycling Level II certified, Ironman certified, Slowtwitch Coaching Power Certified and ACE certified personal trainer. She is a contributing author to "The Women's Guide to Triathlon.". Rachel enjoys working with athletes who are self-motivated, committed to their goals and the work it takes to achieve them. I guide self-motivated, coachable athletes who want to learn, get fitter, faster and enjoy the journey along the way. Success. Coach Rachel Sears Casanta has been notified of your message. 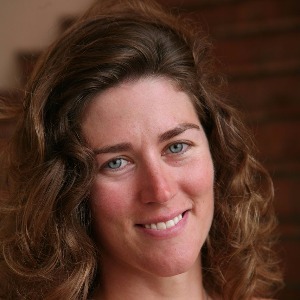 To hire Rachel Sears Casanta as your coach, select the coaching service that is right for you.